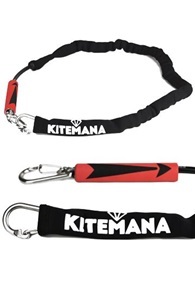 Buy Kite Leashes Online - Kitemana! 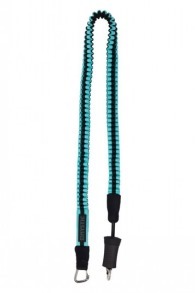 You definitely need a kite leash with every session. 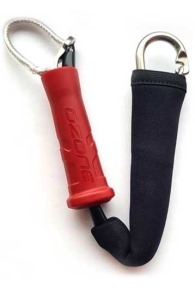 This is the only connection between you and the kite when you use your safety system. 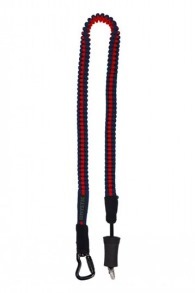 Kite leashes come in many different lengths, so please check which one suits your setup. 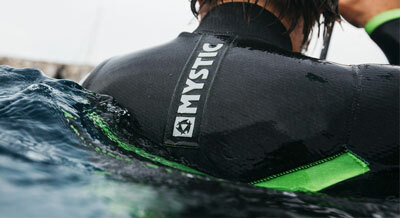 Are you a freerider or do you like to stand on a surfboard and never unhook yourself? Then a short leash is probably something for you. A short kite leash doesn't bounce around as much and ensures that the kite stays closer to you when you release the kite. 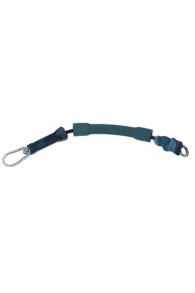 Also the entire release system from a short leash is always closer and you can find the release easier in an emergency situation. We always recommend a short leash if you don't unhook! Do you want to practice unhooked tricks? 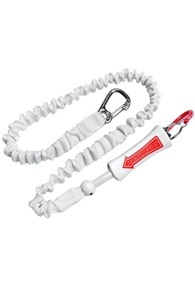 Then a long leash is recommended because it offers more space during, for example, a handle pass. 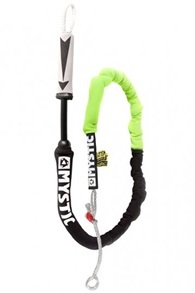 We have kite leashes from Mystic, Best, Brunotti, Cabrinha,Naish,Naish,North, Ozone and our own brand. 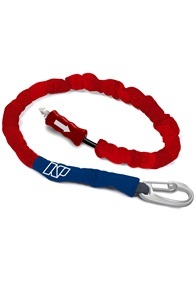 Do you want to know more about kite leashes? Read more. 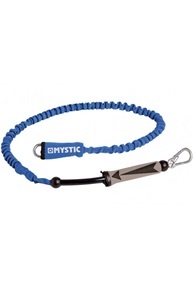 We have kite leashes available in all shapes and sizes. 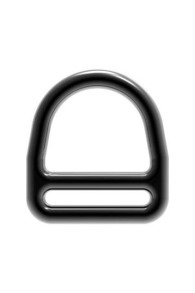 Choosing the right size is essential for the safety and untented use. 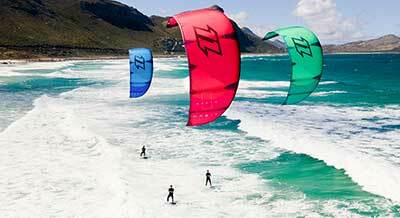 Most kiters will never unhook their kite for these kiters, we always recommend a short kite leash because this is much safer. 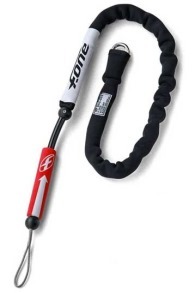 You have kite leashes with a hook or with a rope. 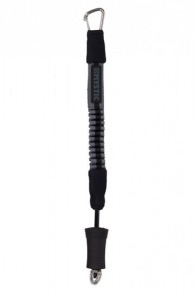 The advantage of a hook is that you can easily attach it and the advantage of a rope is the fact that you won't damage your surfboard if you fall on top of it. 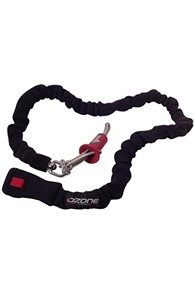 The advantage of a short kite leash is that it's attached to the front or the side of the trapeze, so you can always reach the release system easily. This ensures optimum safety. 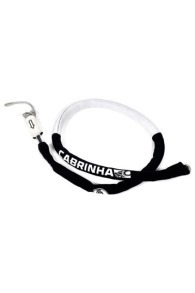 Almost all the kite brands deliver a short leash with their bars, with the exception of special freestyle bars. 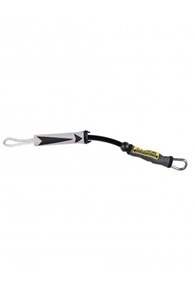 The handle pass leash is a long kite leash which is needed if you want to do unhooked tricks like handle passes. 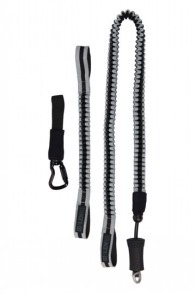 These leashes are at least one meter long so they can circle around you, there are leashes of 2 meters in stretched form for double handle passes. 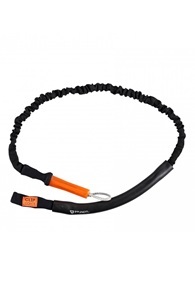 Often these leashes are also a bit thicker in case if you miss the bar, you can easily bring the leash back into the chickenloop. 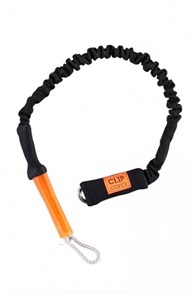 People often use the Handle Pass leash in a so-called "suicide mode". 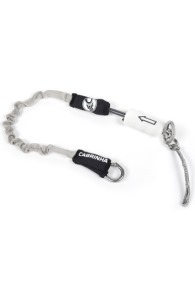 This means that the leash is attached to the safety line of the kite, but also to the chickenloop so that the kite never get fully depowered when you miss the bar. 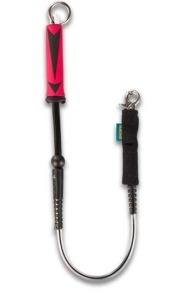 The safety release system can still be activated on the kite by using the one on the chickenloop itself. We definitely don't recommend this setting for beginners!